More and more pet parents are turning to a key component of marijuana derivatives in order to bring some much needed relief to their anxious, sick, or aging pups. CBD, phytocannabinoid, and hemp oil have all been used and recommended to people for years, and more recently several state governments have approved their use as medicine. A few new companies are focusing on providing CBD for dogs in order to live a better quality of life without the need to load up on pharmaceutical pain killers and calming products. Now you may be asking yourself what exactly all these things are and how they might help your four-legged friend, but don’t worry, we are here to help! Let’s start with the basics. Phytocannabinoids are the naturally occurring cannabinoids found in the cannabis and hemp plants. What’s a cannabinoid, you ask? Well, to put it simply they are the chemical compounds produced by cannabis flowers that scientists and doctors have discovered can be useful for treating a variety of ailments, from nausea to arthritis. Now, there are two cannabinoid, Cannabidiol (CBD) and tetrahydrocannabinol (THC), but the one that seems to have the most health benefits is the CBD. Still with us so far? Ok good! In order to make that CBD into an easily ingestible material, researchers have found ways to condense it down into an oil, which can then be added to food or swallowed directly. This oil, known as hemp oil, is produced by a variety of manufacturers, and as legalization takes place in more and more states the market seems to be growing exponentially, and even more big names are getting into the ring. Each of these brands will also produce several different kinds of hemp oil, but if you are looking for the natural, plant-based oil that will bring about the most relief, keep your eye out for phytocannabinoid hemp oil. Other CBD oils might be made in a lab. CBD can have a tremendous amount of benefit for your canine companion, and while research is still underway for its effectiveness in treating several ailments, there are a few things that scientists have proven to be alleviated, and in some cases potentially cured, by ingesting CBD. One of the most obvious uses of CBD has been to increase appetites and decrease anxiety in dogs. This means that it is great for pets who might have certain digestive problems, and also that it can be given to those super nervous dogs out there. With a little CBD, you’ll never need to worry that your neighbors are being bothered by your lonely pups worried barking. Instead, Fido will be mellow as can be, waiting calmly for you to get back home. And then, of course, there are the more urgent medical conditions that might make CBD a necessity. Studies have shown that CBD is an especially effective way to treat epilepsy, and when given to epileptic dogs it can help to improve their quality of life dramatically. The research available suggests that not only can a steady CBD treatment reduce the number of seizures and epileptic dog experiences, but it can, in time, even get rid of them all together. More evidence is needed before a definitive statement can be made regarding that, but everything we know now certainly looks promising. Dogs with chronic inflammation and joint troubles can also benefit tremendously from having some CBD added into their diets. CBD is a known pain reliever, and a natural one at that, so it can go a long way in relieving the aches and pains your dog might feel on a daily basis, and it has also been found to help treat inflammation and give pups a more comfortable life. And then, finally, there is also a significant body of research that suggests CBD can be helpful in fighting cancer and getting rid of tumors. Of course, nothing has come forward to state for sure that CBD will cure cancer, but we do know that it is helpful in treating the nausea, loss of appetite, and pain that can result from the cruel disease and the often harsh treatments we now have for it. Several companies have already managed to stand out from the pack and make a name for themselves. 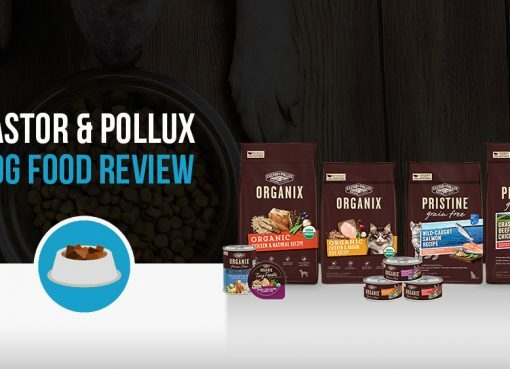 We happened to see a few of these companies at the 2018 Global Pet Expo in Florida and learned about the products and their effectiveness right from the source. If you’re considering trying CBD oils for dogs or hemp dog treats, I strongly recommend starting with the following companies, each of which provide unique products. Reilly’s soft chews are made primarily with the needs of small dogs in mind, although they are also suitable for maintenance dosing for larger dogs. All of Reilly’s products promise to be made from 100% organic, full-spectrum hemp, and are suitable for dogs of all ages. Reilly’s treats also come in a variety of different formulas, each one specifically designed to focus on a particular area of support, from brain support to anxiety reduction and more. For those with larger dogs, Reilly’s makes a line of dedicated high potency chews as well, which comes in similar varieties but in a different package. And last but not least, the company also manufactures a therapeutic oil, which is made with naturally occurring phytocannabinoids, terpenes, flavonoids and tocopherols as well as Vitamin E, which the owners say helps to neutralize the harmful effects of free radicals in the environment. Treatibles makes a wide variety of products, from CBD infused treats to oils and even gel caps. This company also produces its treat in a number of different flavors, and even makes grain free products so even those with especially sensitive stomachs can enjoy the benefits that CBD yields. 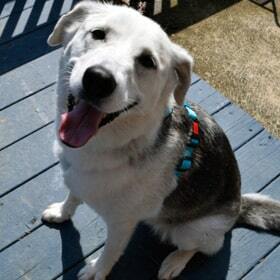 The company also has some specific feeding instructions, recommending 1mg of oil for every 10 lbs your pup weighs. Additionally, Treatibles makes many of its products with coconut oil, which they say has been chosen for its antiviral, antibacterial and antifungal properties. Coconut oil is also high in anti-oxidants too, providing an extra bit of strength in the campaign against free radicals. 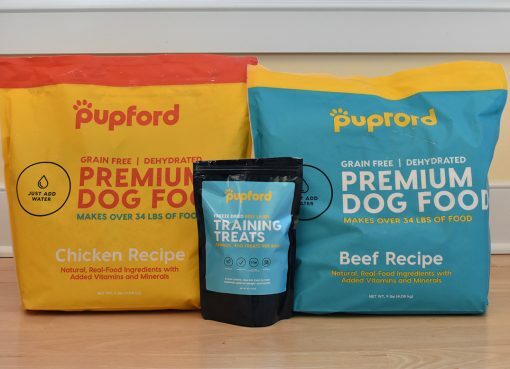 This brand also comes in a larger variety of unique flavors for your dogs, including blueberry, sweet potato, turkey, and the crowd-favorite pumpkin. True Leaf is a Canadian based company that has really taken advantage of the recent interest in hemp based remedies to grow from small business to major player. The company currently has its wares in more than 1500 stores across the United States, Canada, and New Zealand, and interestingly doesn’t use CBD in any of their products; instead, they make use of other parts of the hemp plant. Like the others, True Leaf also makes several different products to best suit the needs of dogs of all shapes and sizes. 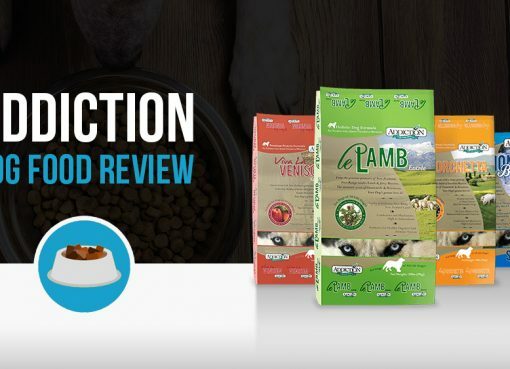 And currently their products focus on treating three different situations: Immune support, calming formula for anxious pups, and hip and joint support. Each of these also comes in three different forms, with chews, sticks, and oil available. Our favorite is the Calming Formula which uses THEANINE (an amino acid found in green tea) and a collection of calming herbs (chamomile and lemon balm) to aid in managing balanced emotions. Canna-pet claims to have invented the hemp-nutrition pet market, and brings more than thirty years of research into their products. Canna-pet also has a huge variety of treats and oils available, and they even have their very own “Hemp Science for Dogs” book available on their website, to help teach interested pet parents about the many benefits that hemp-based treats and supplements can have on their dog’s health. The company also promises that they used organic, plant-based products in all of their recipes, and they have also introduced a line known as MaxHemp. Items in the MaxHemp line supposedly have higher levels of hemp and terpenes and are also more easily absorbed by your pet’s body. And, to help pet parents find the right product to best meet their dogs needs, the company website has a handy ailment guide, where interested users can simply click on the ailment that is afflicting their pup, and be brought to a helpful page that explains why hemp products can help remedy the situation. CBD can be derived from the cannabis plant that’s why it is safe for our pet. There is no substance that can harm them from using it upon reading this, accounting for up to 40% of the plant’s extract. And as a pet owner, I already tried it on my snowie. When he has a Lyme disease it is dangerous for my cat it is a tick-borne illness that is transmitted through deer ticks. And I used CBD as a medicine for him and it works.that’s why its safe. I am interested in hemp treats for dogs. What is the strength per treats, and number of treats per bag? I have a 70 pound dog with really bad arthritis. I am looking for treats, ideally, jerky.